Thomas Schlimgen was born on September 21, 1931 in Mitchell, South Dakota to Wilford and Laura Schlimgen and passed away on December 6, 2017 at the age of 86. The family moved to Detroit, Michigan in 1947, where he graduated from St. Agnes High School in 1949. He attended Eastern Michigan University for two years and then moved to Creston, Iowa, He returned to college in 1953 at Dakota Wesleyan University in Mitchell, South Dakota. While at Wesleyan, Tom played college football and semi-pro baseball during the summer. Tom met his wife Loretta in college and they both graduated in 1955 and were married that same year. They had four children. Tom's teaching career began in 1955 at Plano, South Dakota. He continued to teach history and physical education, as well as coach basketball, football and baseball in Minnesota, South Dakota and John Day, Oregon. He earned a M.A. in History and Education from the University of South Dakota. In 1968 he and his wife accepted teaching positions at Molalla Union High School in Molalla, Oregon. The following year he was appointed Principal and remained in that position for 5 years, after which he became Superintendent. He served in that position for 15 years until his retirement in 1989. He and his wife moved to Salem in 1997. Tom was a charter member of the Confederation of School Administrators (COSA) and was appointed to COSA's Legislative Committee. While at Molalla he initiated a Community Schools Program through Clackamas Community College. He was also appointed to the Northwest Accreditation Association's Credential Committee. He belonged to the Molalla Rotary Club and was active in many community activities and projects. While living in Salem he was a member of Queen of Peace church, the Knights of Columbus and the 39ers. He also helped to deliver Meals on Wheels. Tom's interests included family events, sports, music, travel, reading and walking. Tom liked to make lists. He was an organizer, the one who got things done. He was always there for his family and anyone who needed a helping hand. He enjoyed being around people young and old, and being of service to others. He is survived by his wife Loretta, his children Bob Schlimgen (Susan Schouten), Mike (Kim) Schlimgen, Ann Marie Anderssohn (John Hazekamp), and Kay (Brian) Hilsabeck, his four grandchildren Jessica (Jason) Brake, Sean (Sarah) Schlimgen, Alyssa Eklund and Brandon Hilsabeck, and one great-grandchild, Hailee Schlimgen. Funeral services will be held at Queen of Peace Catholic Church (4227 Lone Oak Rd SE, Salem OR) on Tuesday, December 12 at 11:00 a.m., preceded by the rosary at 10:30 a.m. A reception will follow the service. 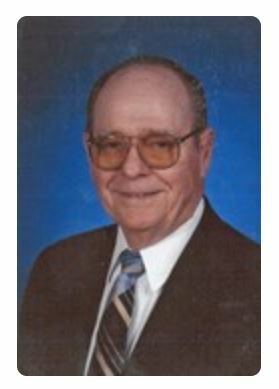 Assisting is Virgil T. Golden Funeral Service. Those who wish may make contributions in Tom's memory to either the Molalla Alumni Scholarship Fund (P.O. Box 1050, Molalla, OR, 97038) or the Queen of Peace School (P.O. Box 3696, Salem, OR, 97302).